Close your eyes for a moment and imagine a blank calendar… Good. Now just think of how scary that would be if the blank sheet of paper was your life every day for the next two decades. As anyone who has ever been phenomenally bored will agree, it’s tortuously painful not having enough things to do when you retire. As experts on coaching people through this stage of life, here are our best suggestions for staying busy and happy in your golden years. The average person has been a member of the working world for most of their adult life. 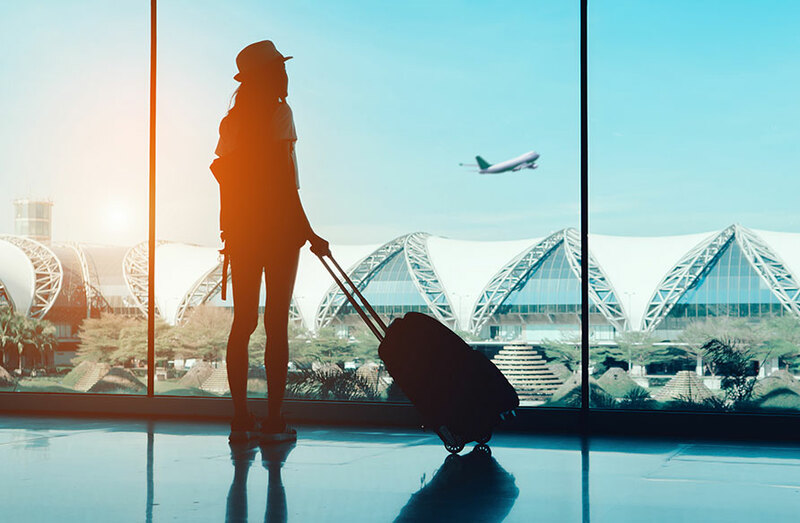 Some people may have taken time off for life events such as maternity leave, illness/surgery, or unemployment, or a lucky few have gone on sabbatical and traveled the world. Typically, these experiences are limited to a year at most, not the 20 to 30 years that most people are staying retired nowadays. Anxiety and/or depression. With nothing to look forward to, the only thing that will occupy your mind is the thought of life ending. At any age, life is a gift. Every day is a precious blessing that is full of opportunity. Having nothing to live for makes it hard to remember that. Lack of purpose may cause you to feel like a failure, or just plain lazy. This is hard for successful people to take. You were going 90 in the fast line for as long as you can remember and now all of a sudden you’re in the go-kart at the local amusement park. Isolation. You may feel marginalized and lonely, as if you are excluded from society. You may have planned to spend retirement caring for your grandchildren, but who knows if you’ll live near them? Your relatives need to live their own lives, and things can change. Money worries. Travels gets expensive after a while. Do you have any idea how quickly money goes out the door when you have nothing to do but spend it? For all of the above reasons, you may end up driving yourself (and everyone else around you) crazy by failing to be thoughtful about how to spend time during retirement. That’s no way to live your final years and certainly not how you want to be remembered. The solution? Stay busy, but do it on your terms. FINDING THINGS TO DO WHEN YOU RETIRE IS FUN! Not knowing what to do when you retire is a serious problem. In fact, we’ve seen that it’s something people invest an enormous amount of energy avoiding. As financial advisors, we’ve heard all the excuses in the book. For example, some people plan to work until they pass away. This sounds logical in theory, but in reality you may not have control over your physical health. Don’t put yourself through this ridiculous game. Take it head on! Plan a life full of fun things to do when you retire, and make it happen! The Encore Career. If money didn’t matter, what would you do? Think about making a career switch and pursue it. The Legacy. Retirement can be a wonderful time for leaving your mark on the world. You may want to volunteer or work with a cause that you feel passionate about. You’ll enjoy inspiring others to help fix a social problem that plagues the world. This helps you live with a sense of purpose and that can be very invigorating. Make New (Younger) Friends. Yup, we said it. It can be stimulating to interact with people from other generations as they will bring an influx of new ideas and activities to your world. Write a book or blog. Social media exists for the purpose of connecting people to each other across geographic divides. The world can be your oyster. Start an unusual blog about a passion or hobby you have and see who reads it! Once the creative juices get flowing you’ll wish there were more hours in the day. Here are some examples of how clients of ours have done it. Do these retirees sound lonely and depressed? Certainly not. Retirement doesn’t have to mean sunny beaches in the Bahamas for everyone. Some clients prefer to work part time or even full time, but just at a lower stress level. One of our clients loved being an attorney, but disliked being in a corporate environment. So, he took early retirement from his corporate job and found a flexible, part-time position at a small law firm near his home. He also teaches and volunteers with numerous charities. He’s financially whole, intellectually fulfilled, and living every day at his dream job. This is for you “Type A” personalities out there. One of our clients was a successful business owner and CEO. In his mid-60’s, he was presented with an incredible offer to sell. He was certainly ready to step down, but found that retiring “cold-turkey” was not for him. The solution presented itself in no time. After he and his wife moved to a retirement community, he chose to get involved with the many social activities they offer. He didn’t let his business skills go to waste, though – it wasn’t long until he was appointed as a leader of the community’s finance committee. The result? He’s happy, physically and mentally fit, and most of all he’s part of a stimulating social circle. What would you do if you had complete control and freedom over your schedule, without the mandates of work, family, and getting all those “must-dos” done in a specified time period? I mean completely: no work, family, friends, appointments, all of those obligations are off your plate. How would you fill up that week? What would you want to do? We’d love to have you complete the “Ideal Week in Retirement” activity. It is a tremendous way to plan out how to spend your time in retirement. Try it for yourself! For more information, send us an email at nicole@prismplanningpartners.com.